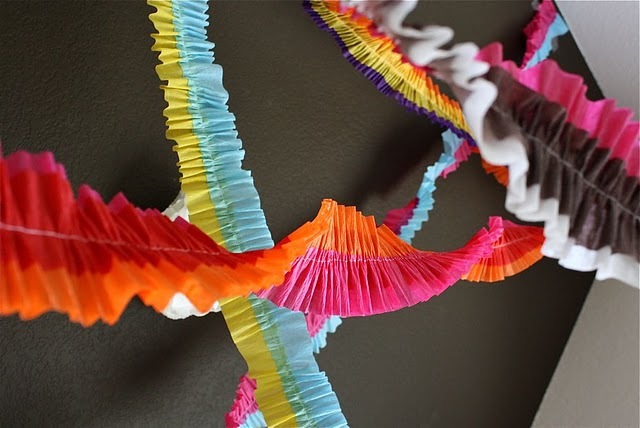 Dana from Made always shares some of my favorite party decorations. They are always really cute while still being inexpensive. Like a wall full of paper bats or a doorway of falling leaves. This time she sewed together colorful crepe paper streamers to create these ruffled beauties. These are so cute, I love the two colors together. I will have to try these! 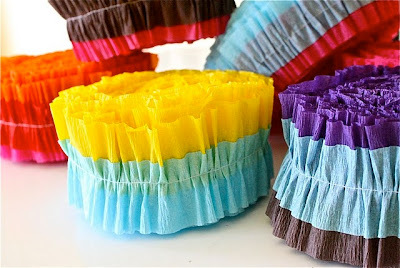 Jodi, check out her blog because there are some that have three colors...so beautiful! I absolutely LOVE her blog and this idea! I am really excited about her and Delia's color series. I am a color girl too!